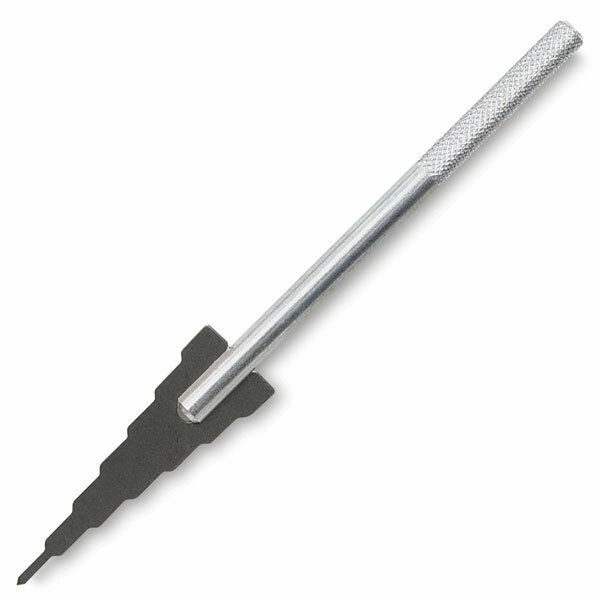 The easy, economical way to create many hole sizes with one tool! Each notch represents diameters from 1/16" to 3/4". Made of high quality steel, with a secure-grip textured aluminum handle. 6-3/4" (171 mm) long.